It is always nice to be appreciated and so by virtue of the latest piece of blog-comms my humble scribblings (not sure if you can scribble on a blog but hey, ho!) have been nominated for the above award by no less than two fellow bloggers - Geordie and Peter - for which I am suitably thankful (and apologies for the tardy reply Peter!). Upon receiving such a nomination the plan is, I believe, for the nominee to list five blogs that would also be suitable recipients under the terms of the award. After very careful consideration I have to say that happily, I found this to be an impossible task! There are so many blogs that I 'follow' that it would be churlish of me to mention some and not others because I freely admit to getting different things from different blogs. 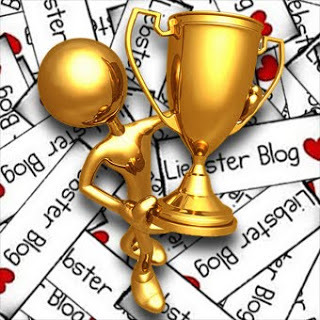 I suppose this probably seems like a cop out but I am going to stick my neck out and suggest that all of the blogs I follow on my list that fulfill the award criteria are worthy of such an accolade. My reason for this is very simple. I know what goes into running a blog in respect of time and content etc and so anybody that runs a blog in the subject I am interested in deserves praise for being bothered to share their hopes, fears, aspirations, games old and new, ooh shiny stuff or just plain passing the time of day with the rest of the 'blog-o-sphere'. So to all those that have been nominated and to all those that have not - please accept my grateful thanks for what you do and how you do it - and long may it continue! Cheers old chap! I shall have a battle report on the blog in the next day or so - from a subject very dear to my heart! Many thanks on old chap - there is a lot of extra goodies planned for the new year so, watch this space! Many thanks old chap! My only problem is having enough hours in the day to get everything I want to on the blog! Battle report to follow - probably tomorrow so watch this space. Many thanks old chap - much appreciated!